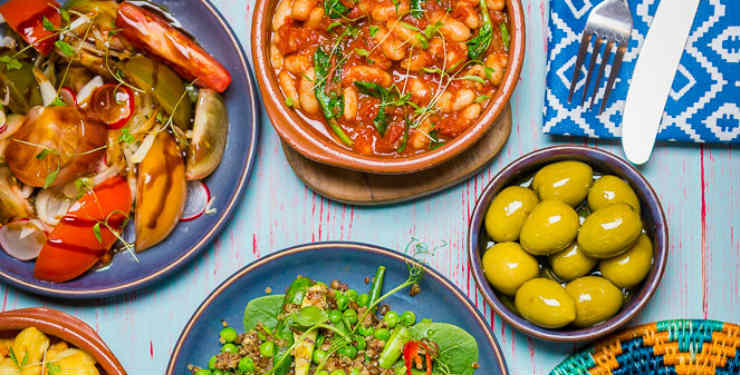 Visit La Tasca and try the authentic paella and their signature Spanish tapas with 25% off your total bill for a vibrant Spanish dining experience. 1) Dining Priorities members can enjoy 25% off their total bill. 2) Offer valid from 12pm 7 days a week and applies to A La Carte Menu only. Set Menus are excluded from this offer. 3) One discount per bill transaction up to a maximum of 8 guests including the voucher code holder. 4) Discount can only be used once per visit. 5) Not valid in conjunction with any other deals or with any other offer or discount promotion, discount card or with Tesco Clubcard Vouchers. 6) A valid voucher code must be presented in order to claim the discount. Expired and previously used codes will not be accepted. 7) Not valid on Bank Holidays, Valentine's Day, Mother's Day, Father's Day, 14/15 December or 21/22 December 2018 or New Year's Eve after 5pm. 8) Offer valid until further notice. Saga may withdraw the offer or any part of it at any time without prior notice. 9) Not valid in La Tasca Leadenhall before 5pm.